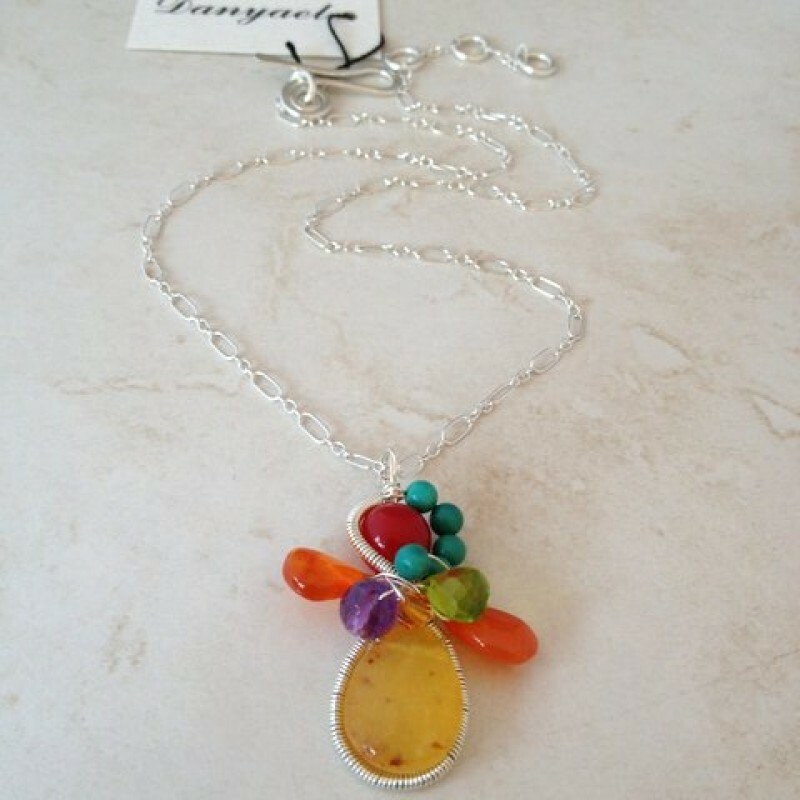 Sterling silver is wrapped around honey color quartz drop and cherry quartz bead to create a unique pendant. 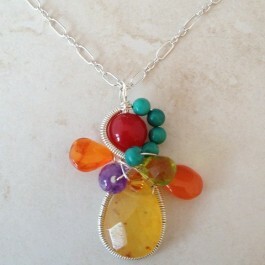 Carnelian briolettes, amethyst, turquoise and crystal add color and depth. Fun and colorful, this necklace will brighten your day and your outfit all year long. Hangs on adjustable (16"-18") sterling chain with handcrafted hook. Pendant is about 1 1/2" long. Available also with oxidized and antiqued sterling silver.